Jakarta, August 27, 2018. The Roundtable on Sustainable Palm Oil (RSPO) and WWF-Indonesia announced the winners of the ‘Young Videomaker of Responsible Consumption’ competition today, as a part of the Youth Leader in Sustainability programme, in cooperation with #Beliyangbaik campaign. 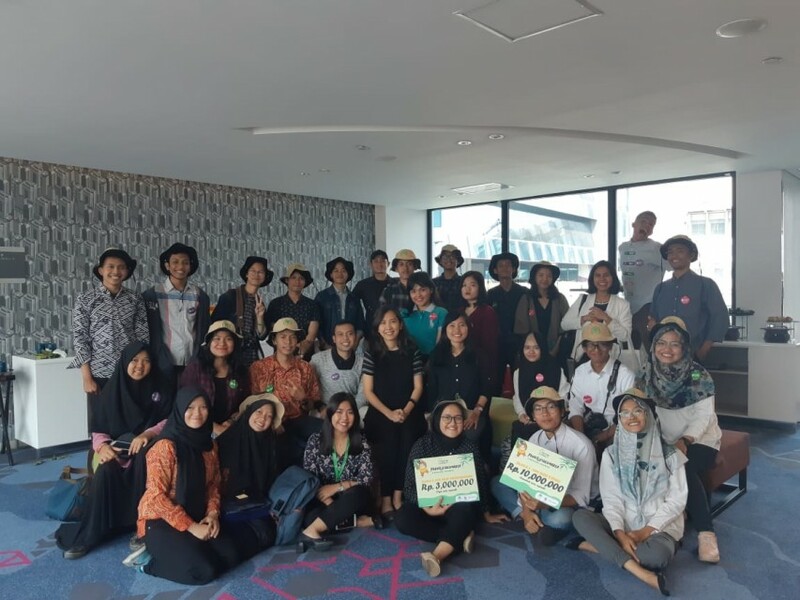 Launched in April this year and organised by RSPO Youth Leader Ambassadors, the competition called for Indonesian youth aged between 18-23 years old to demonstrate their sense of sustainable consumerism, by creating an engaging video featuring products with environmentally, or socially responsible ecolabels. From a total of 81 videos submitted, reaching more than 52,000 views, 5 were selected as competition winners who will share in a total of 31 million Indonesian Rupiah in prize money. The competition judges chose two winners for the ‘Best Video’ category; ‘You Can Do It Too’ and an animated video ‘Roro dan Suara Ajaib’. The winners of the ‘Most Favourite Video’ category were selected based on viewer’s votes, which were ‘Aksara Bumi’, ‘Diman 1441 H’, and ‘Satu Ramadhan’. Under the #BeliYangBaik theme, video submissions were required to carry 3 call-to-actions to reflect examples of responsible consumption, namely ‘buy only what’s needed’, ‘recognise the RSPO ecolabel on products’, and ‘manage the waste’. The ‘Best Video’ category judging panel included Miss Earth Indonesia 2017, Michelle Victoria Alriani; Indonesian Vlogger, Pascal Meliala; Margareth Meutia, WWF-Indonesia and Dhiny Nedyasari from RSPO. The ‘Most Favourite Video’ category winners were selected based on the number of views and likes accumulated in the Youth in Sustainability Youtube channel. To view all video submissions, please visit the Youth in Sustainability Youtube channel or follow its social media channel @IamYouthLeaders.